Neposedi is a children’s music group formed in Moscow, Russia in 1991 by Elena Pindzhoyan and Yuri Nikolaev. The title refers to children who are unable to sit indifferently in the same place; who are fidgety. 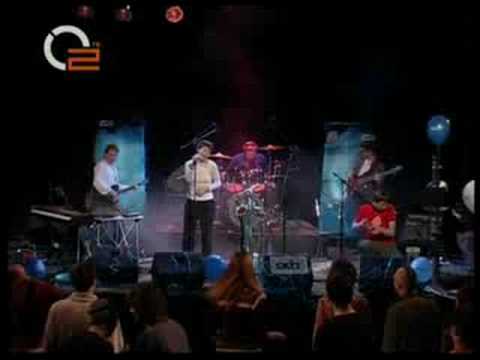 Uma2rman is a Moscow-based band made up of the two brothers Sergei and Vladimir Kristovski. They have been active since 2003, releasing their first album “V Gorode N” in 2004. Additional musicians have been hired for concerts such as Alexei Ernst – keyboard, Sergey Solodkin – drums, Alexei Kozhakov and Yuri Terletsky (current) – solo guitar. They were nominated in the 2004 Europe MTV Music Awards for Best Russian Group, along with t.A.T.u and Gorod 312 but lost out to Dima Bilan. Nichya (Ничья in Russian Cyrillic; translates as “No one’s”), is a singing, songwriting and producing duet consisting of Elena Kiper and Oleg Borschevsky. The group has released four singles, and one album to date, and has gained much popularity throughout the Russian Federation. EXIT project are an instrumental progressive rock, electronic music, art rock, experimental music, easy listening and jazz fusion band from Russia. The band created its own unique style which was labeled as art-fusion. You are currently browsing the Russian Music weblog archives for January, 2009.